Thomas Bechtold has a large experience in the luxury hotel industry, having worked for luxury hotel brands like Luxury Collection, as well as for private 5-Star properties for the last 20 years. Mr. Bechtold joined the Sport Hotels Resort & Spa in October 2016, after 9 years with the Grand Resort Bad Ragaz, both members of “The Leading Hotels of the World”. Having been born in Spain and raised in Germany and after having held positions in Germany, Spain, Switzerland and now Andorra, he considers himself a “citizen of Europe”. He loves the hotel industry due to the possibility of having direct contact with his guests and the pleasure of meeting different people each single day. During the second half of 2017, the Resort will be opening a building with 9 luxurious residences / suites. 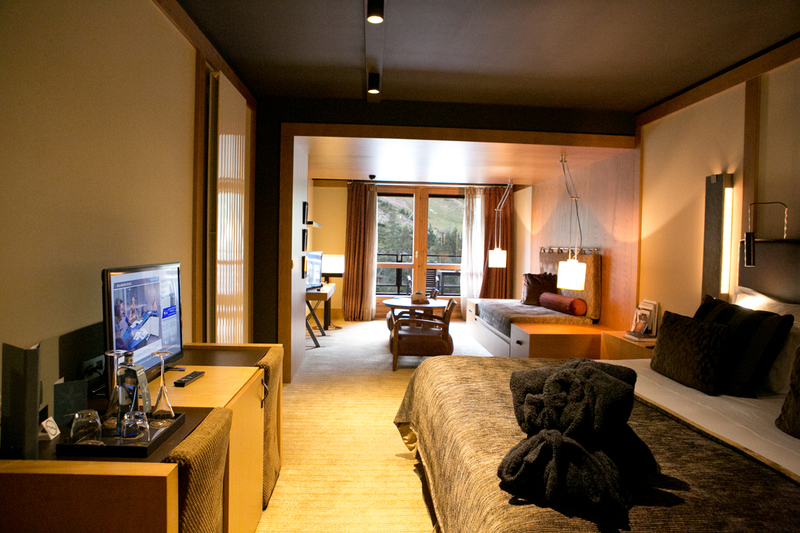 The rooms can be interconnected in order to create living spaces with up to 500 m2 and 4 bedrooms with views to the mountains. Clients can book the entire building or entire floors. Our history starts in 1800 when Soldeu was a crossroad village for the people travelling from Spain to France. At Cal Calbó, owned by Sports Hotels’ family, you could already find some rooms and from time to time would give shelter and board to these travelers. That was the moment when the idea of having a hostel raised up. In the sixties, the activities of the village of Soldeu would diversify thanks to the development of the second ski resort of the Principality of Andorra, having a unique location of being at the foothills of the ski resort. 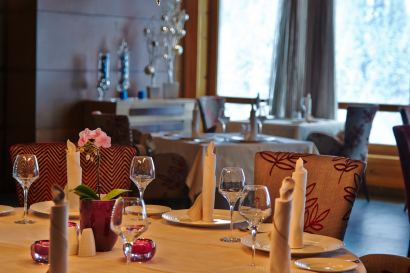 In 1996, the Sport Hotel was launched as well as our first restaurant service, the actual Sol i Neu Restaurant, located at the foot of the slopes. In 1196 the business grew with the construction of the Sport Hotel Village and then in 2006 with the Sport Hotel Hermitage & Spa. Nowadays the Resort is considered to be the number one luxury Resort in the Pyrenees. The Resort is constantly investing and improving its services and facilities. Unique Hotel, being the first luxury hotel and the only one in the Pyrenees. 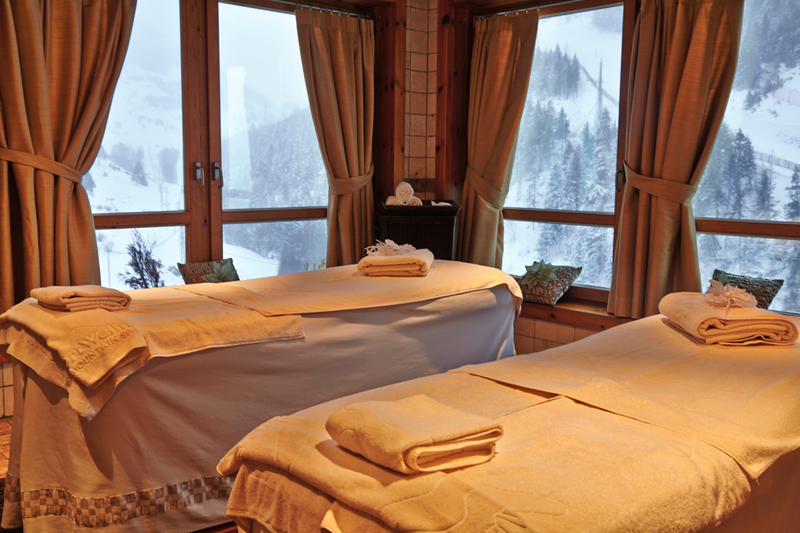 In winter season, Sport Hotel Hermitage & Spa is a fantastic ski in & out resort; all 135 junior suites with balcony in a very privileged location at 1850 meters of altitude, with direct access to more than 210 kilometers of ski slopes. 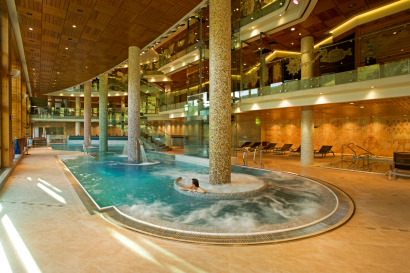 For relaxation the Resort features a 5,000 m2 Wellbeing & Spa area with stunning views of the beautiful Pyrenees. The Spa offers a wide range of treatments and activities for relaxation and regeneration. In addition, it offers a unique gastronomic experience, with an enticing variety of excellent restaurants options, featuring 2 Michelin-starred chefs from Barcelona, Nandu Jubany (Catalan cuisine) and Hideki Matsuhira (Japanese Cuisine). In summer months, all types of mountain activities are available; including a nine-hole golf course, located at 2250 meters of altitude and being the highest in Europe, with breathtaking views of the balcony of the Pyrenees! The hotel is located at the heart of the Pyrenees Mountains in Soldeu, Andorra, between France and Spain, at 2h30 easy drive from Barcelona Int. Airport or at 2hrs from Toulouse Int. Airport. 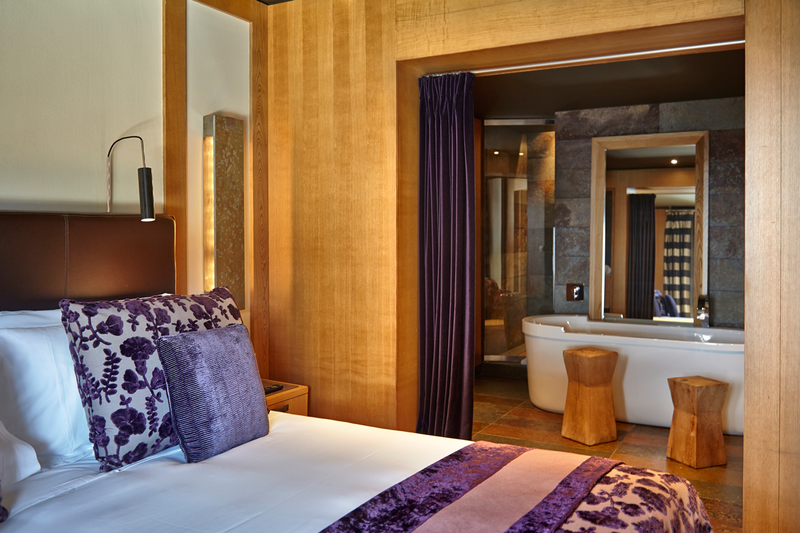 Guests can directly access to the slopes of the biggest ski resort in southern Europe, Grandvalira with 210 kms of slopes. 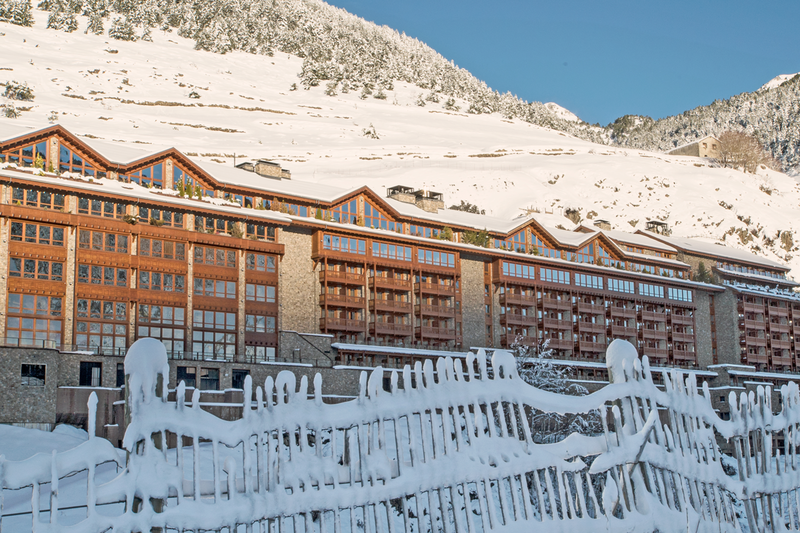 The Resort is just 20 minutes’ drive from Andorra la Vella, a great place for tax free shopping. Andorra is considered to be one of the safest countries in the world, having a very low crime rate. During winter, clients can enjoy the biggest ski resort of southern Europe in front of the hotel and all kind of winter activities as snowmobiles, snowshoeing, mountain ski, heli ski and snow car driving. During summer, guests can enjoy the fauna and flora of the Andorran mountains, practicing activities like guided walks, 4×4 routes, heli trekking or sport fishing. Also, golf lovers can practice its swing at the highest 9 holes Golf course of Europe at 2260 meters. Guests will find a peaceful and unique nature with lakes, valleys, water falls, mountain Restaurants, being the perfect place for individuals as well as for families. 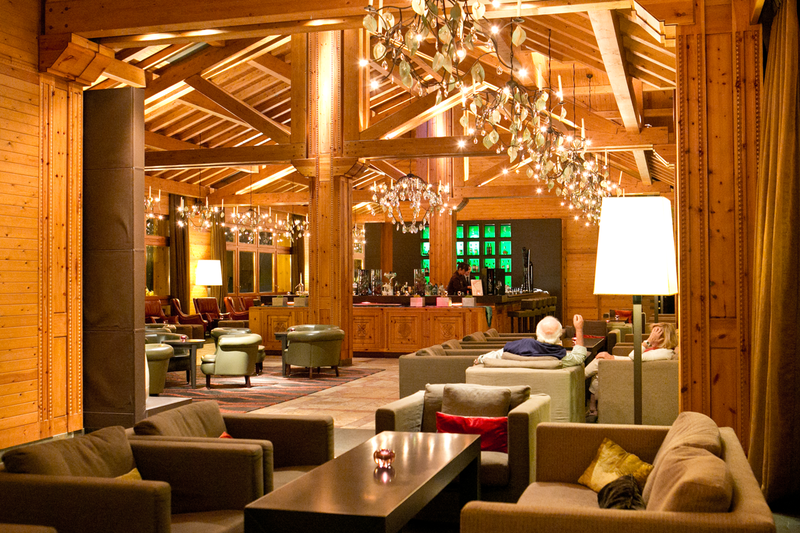 Entertainment nights with live music at the main Bar and lobby area. 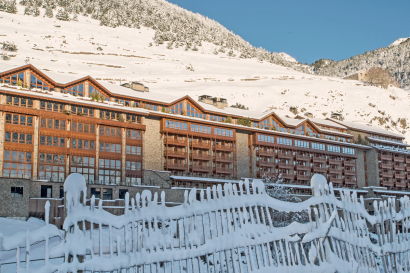 International Ski competitions in Grandvalira – World Ski Cup in 2019, directly in front the hotel. Each summer, famous “Cirque du Soleil” offers one of its programs in Andorra. The Resort features a Kids Club (renewed in 2016) where it is offers a wide range of activities for children from 0 to 14 years of age with daily activities designed especially for them to have fun playing while under the care of monitors. The activities are divided into three ages: Baby club, kids club and teenager club. Program includes excursions, cooking lessions, nature games etc. • 3 Suites Hermitage 66.64 m2. 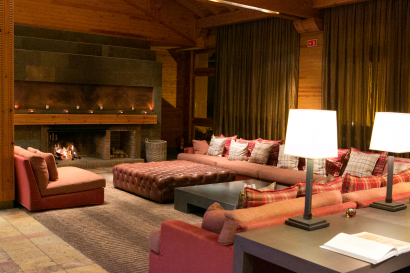 – Ski butler at your arrival with complimentary Ski Lounge & Lockers at the start of the ski slopes. • Glassbar 1850: The main bar Hotel Hermitage & Spa. Cocktails & a la carte menu with a selection of snacks, lunch or dinner at any time. • Sol I Neu Club Hermitage: Traditional mountain cuisine, in a typical Andorran stone-house. 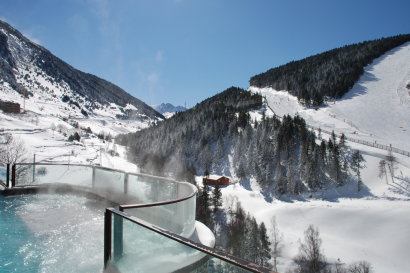 • For relaxation and regeneration we feature 5,000 m2 of Wellbeing & Spa facilities with stunning views of the beautiful Pyrenees. 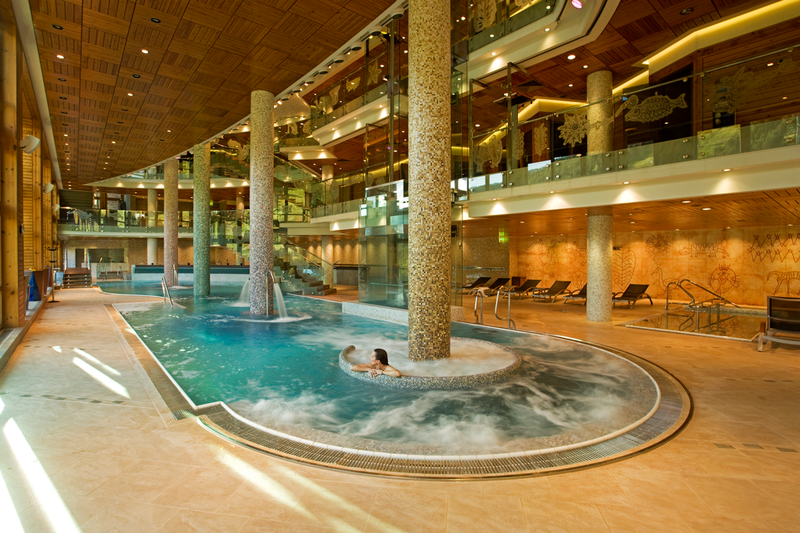 Divided in 3 floors: water circuit (pools), indoor and outdoor Jacuzzis, saunas, Hamman, tepidarium… It´s complimentary for clients staying at the Sport Hotel Hermitage & Spa. Entrance allowed only for children aged as from 13 years old. • A large range of treatments for face and body and numerous wellness paths including Ayurveda treatments. 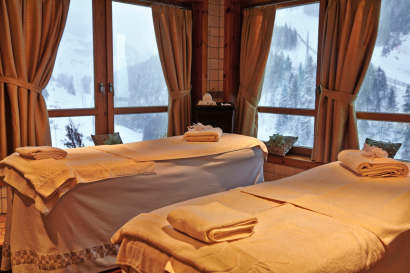 We have an entire floor dedicated to beauty with a total of 19 cabin treatments. • A fitness room with the latest technology aquipment it´s also available as well as a daily fitness & activities program, personal trainings available. • Outdoor heated swimming pool in the summer season. • Fitness area with the latest technology equipment & program of activities. • Isard room: Accommodates up to 14 people. WI-FI, flip-chart, TV, audio system, telephone conferencing facilities, corporate stationery: wallets and pens, tea & coffee. 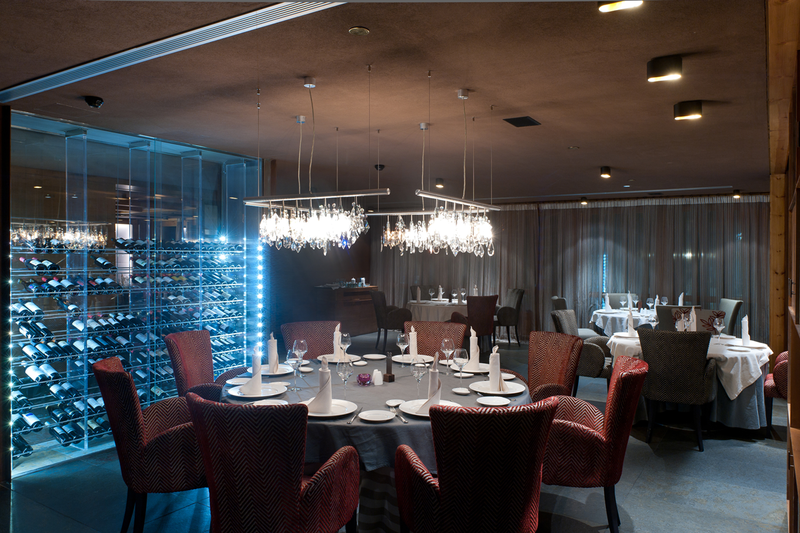 • Grandalla room: Accommodates up to 50 people. WI-FI, flip-chart, TV, audio system, telephone conferencing facilities, corporate stationery: wallets and pens, tea & coffee. • Valira room: Accommodates up to 300 people. WI-FI, flip-chart, TV, audio system, telephone conferencing facilities, corporate stationery: wallets and pens, tea & coffee. • During winter, the Resort offers a very exclusive Ski guide (Ski Butler) service (with supplement). Average of 200 employees, depending on the season of the year.